Hello, my-blogmedia readers. We meet again. Here we are posting the winner of product innovations that might be usefull for you. In a time when the common work space includes a lamp, computer monitor, speakers, phone and cradles for various gadgets, it's surprising that so few desks are designed to accommodate standard electronics — let alone the tangle of cables that inevitably tails behind them. Nicholas Komor, a junior at Georgia Tech, designed circuitDESK with mounted power outlets and a track-based logic for managing cables. "I was most inspired by two things: electric cable mess and vampire energy," says Komor, referring to the energy drain of devices left on standby power. 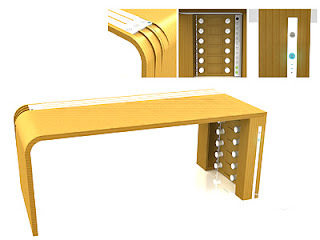 With the flip of a switch on circuitDESK, your whole desk goes right off the power grid, preserving the life span of devices while saving energy and money. Hi my-blogmedia readers. 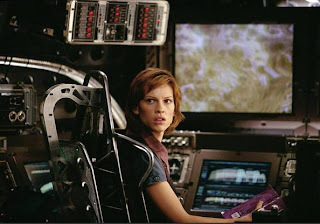 If we take a look carefully on several movies, we would have notice that there's something wrong with the movie. Here is one of the top 10 scientifically inacurate movies, posted one by one. Enjoy. Wanna be a muscle builder?. Remember to pay attention of what kind of food we should eat. Here are the top 10 food that suit for you. Have a body building and have this food. 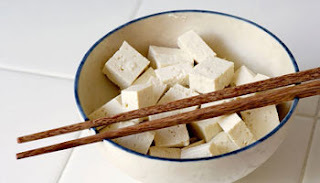 Made from soybeans, tofu was once the bastion of vegetarians. But the plant protein in these pressed bean curds—available firm or soft, and delicious when marinated and tossed into salads—provides a full complement of amino acids, as well as isoflavone, which helps muscles recover from exercise. "A serving is four ounces," says Andrews. "Eat one to three servings a week." Hi all, we meet again.Here are your weekly horoscope for this week. Enjoy. You're getting in touch with your warrior side more than ever before, thanks to the fact that your ruling planet, assertive Mars, is in potent Scorpio. You're learning the right way to go about obtaining your desires, but you don't have the formula down perfectly. On Wednesday you'll be more aggressive than necessary for the situation you're facing. Temper your boldness with understanding and you'll emerge a winner. Your big heart and generous spirit come to the forefront on Friday when you volunteer to assist someone you know is in need. Taurus, you're tired of living in the shadows and taking a back seat in your endeavors. Now that your ruling planet, Venus, is in fiery and confident Sagittarius, you have no hesitation about telling the world of all your great achievements. Good for you! Make sure you get plenty of rest on Wednesday as the Sun enters Scorpio opposite your sign of the Bull. Your vitality will start to flag. Saturday is a great time to get a medical checkup and see a doctor or dentist to be sure you're on the right track concerning your health. If you want to maintain some semblance of order in your life, Gemini, take a pad and paper with you everywhere you go so you can remind yourself of everything you need to do. Your ruling planet, busy Mercury, is in your sector of amusements and all you really want to do is have fun. On Thursday you switch gears and want to find the answers to the thoughtful questions you have about life. You won't stop your intellectual quest until you get answers that satisfy you. You may explore metaphysical pursuits and check out palmistry, handwriting analysis, and dream interpretation. Your emotions are your guiding light, but of course you aren't infallible. On Monday the Moon in Cancer in your sector of self opposes excessive Jupiter and you realize that recently you made the wrong choice and now you need to untangle a big mess in your life. Don't get discouraged even if your task seems overwhelming at first. Take your situation step by step and before you know it your problem will be resolved. On Wednesday you may take the phone off the hook, shut off your computer, and immerse yourself in a long novel. Leo, you're surprised by a voice from the past this week, and once that happens, you morph into reflective mode. On Monday the vulnerable Moon in Cancer in your sector of hidden thoughts and feelings trines unpredictable Uranus and you meet someone at a social event you knew long ago. Meeting this person will trigger many memories for you, and you'll begin to revisit the past, emotionally as well as mentally. On Sunday communication issues stand between you and your ability to work out a difficult situation with an associate. Do your best to convey your exact meaning to this person. You feel disgruntled this week, Virgo, and by the time you get to the weekend you'll be downright ornery. The Moon opposes hazy Neptune in your sector of daily activities, and your finely tuned schedule evaporates into thin air. You enjoy keeping to a specific routine and you want your appointments to be ready and on time. That won't happen for you, so try not to get too irritated. On Sunday you won't have the patience to listen to your friend's long and involved saga of his or her recent emotional upset. Be tolerant, if possible, and lend an ear. What goes around comes around, Libra, and sometimes nice people like you finish first. If you had any doubts on that score, your misgivings will be corrected early this week as the Moon in Cancer trines Mars, the ruler of your sector of rivals, competitors, and open enemies. You'll learn that you've triumphed over someone who wasn't on your side or in your corner. On Wednesday the radiant Sun enters Scorpio and your sector of what you value, and you give deep thought to the way you want to live your life and what makes you happy. You may not have been born with the philosopher's stone in your hand, but you've certainly had your share of intense life experiences, and those experiences have made you very wise. Your wisdom comes from a deep and profound place. You're able to use your knowledge to help yourself and the people you feel close to. On Wednesday you begin a celebration of your life journey as the radiant and illuminating Sun enters your sign, profound and insightful Scorpio. As you celebrate with your friends and family, remember that you have a lot to be grateful for. Your playful side kicks in this week, thanks to the placement of Venus in Sagittarius in your sector of self. You'll find that your delight in life increases tremendously. On Tuesday the Moon in sunny Leo trines Venus and you may become the life coach of everyone you know. On Saturday you experience an emotional change of pace as you deal with someone who has a powerful and influential position in your community. You won't see eye to eye with this person, and you'll make that fact known loud and clear in your typical blunt and feisty fashion. Listen up, Capricorn, because if you don't you'll miss learning some relevant information regarding your life situation. On Monday the Moon trines Uranus in your sector of the mind and imagination, and you come across a piece of information that will set your brain buzzing. Once that happens, you'll flash onto the right solution to your current dilemma. On Wednesday the illuminating Sun enters your sector of hopes and wishes and you realize that you need to refine your goals so they fit the person you are today, not the person you were in the past. Sometimes you run into a brick wall, and no matter how much of a visionary you are, you can't wish it away or jump over it. When that happens, you need to regroup and adjust to your new circumstances. On Wednesday the Sun enters formidable Scorpio square to your sign of the Water Bearer and you find yourself confronting a challenging situation. The key to your dilemma may be to accept the facts and move on. On Friday your sense of positive optimism returns. You're always seeking new vistas and now you'll be confronted with several new options. You decide to make the most of what you have on Wednesday, Pisces, as the bright Sun enters Scorpio and your philosophy sector. At times, you love to escape into a fantasy world, and now you'll take a more realistic approach to your problems. Friday is a lucky time for you as the Moon in your sector of rivals trines beneficial Jupiter. It's a great time to enter contests. If you want to take on your neighbor in a golf tournament, you'll most likely win, so start dusting off the spot on the mantle for your trophy. Hi my-blogmedia rockers, here are the Top 25 Best Heavy Metal Bands according to yahoo music site recently. Here is number 4 position. Some metallists say these guys aren't metal because they like girls and to party and they cover the Kinks, Roy Orbison and Motown. But have you heard Eddie's tone? 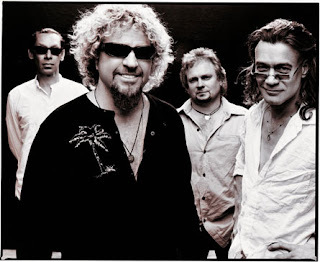 He re-taught the guitar for an entire decade and while they lose points for employing Sammy Hagar (whose band Montrose, you'll note, is absent from this list), they did once bring us that ultimate, premium, all natural ham of hams, the great David Lee Roth. Wait for the higher position in next posting. Hi my-blogmedia readers, how are you. Miss your Mom, haha?. Continuing the previous posts, here is animal that have a good mom behaviour on number 5. Enjoy. 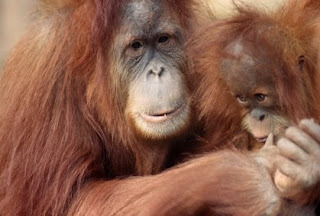 The highly intelligent orangutan is the ultimate do-it-yourself mom. She spends nearly all her life high up in the trees, where she builds a new nest every single night from branches and foliage, fashioning more than 30,000 homes in her lifetime! She also never puts her babies down, generally nursing offspring until they reach the age of 6 or 7 -- that's the longest dependence of any animal on Earth. For the most part, males come around only to mate, and even the baby boys break away more quickly from their mothers than their female counterparts, who often stay longer to learn child-rearing skills. Hi all. 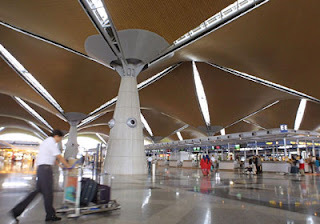 Here is the Top 10 Best Airport In The World for 2008. Continuing the previous post, here is number 4. Have you ever visit one of the places?.Enjoy. A Full Moon in your sign on Tuesday is going to bring certain events and activities to a head. Full Moons bring issues out into the open and plenty of emotion, so don't be surprised if your feelings about certain people begin to get out of hand. You'll also begin to see the fruits of your labor as weeks of preparation and hard work now produce results. Don't make any decisions on the spur of the moment. Wait until you feel a lot more calm and collected. From Saturday you'll be seeking a real love adventure. something exciting to tell you. Mercury turns direct, making progress possible at last. This is especially so in terms of creative projects that may have been delayed. Now you can get started knowing you have a smooth path ahead. You'll also find that love affairs that had been on hold will suddenly spring to life. You'll feel much better all around. To add to this, Venus moves into your relationship zone on Saturday, bringing new life to your partnerships. This is the time to be more adventurous in the way you connect with others, whether intimately or in a business sense. Mercury turns direct in Libra, which means that if you've had plans to sell your home, you can now go ahead. The same is true if you're about to exchange contracts. From this point on, the buying or selling process should go relatively smoothly. You may be inspired to make changes at home in order to create a more harmonious atmosphere. Both Mars and Venus in your love affairs zone bring magic and mystery into your new love relationships. If you're looking for a lover, this is the perfect time to get involved. Tuesday's Full Moon in your travel and adventure zone is going to encourage you to step out and have fun in exotic places. If you're taking your partner, you may realize things about them that you never knew before. This could either spur you to make a deeper commitment or encourage you to make a break. However, don't do anything on the spur of the moment. Wait. The same is true if you find yourself falling in love. Don't make any ardent declarations until you're really sure you mean it. Mercury turns direct on Wednesday, which again will help your financial situation. You've probably been suffering from delays in this area, causing frustration. From this point on everything will fall into place and the outlook will be much more encouraging. Mars and Venus in Scorpio are perfect for getting your administrative affairs sorted out. This is a good time to clear out your office and throw away any clutter. You may be inspired to purchase that new computer or other necessary equipment. If you do, wait until after Wednesday for the perfect buying experience. Stay cool, since the Full Moon may bring out the passion in one relationship. You may also find that issues come to a head with business partners, too. The key to success is to remain detached. No matter how bad you feel, don't make decisions on the spur of the moment. If you've been working on a project with someone else, this is the time you'll be nearing your goal. Tuesday is also great for brainstorming, especially for creative projects. If you're an artist or you work in the media, you'll be doubly inspired. Your focus is particularly strong and powerful. With Mars in your sign you're ready to master any challenge and take the world by storm. You're a veritable hotbed of passion. Your love life is in your hands and you're the one who makes the decisions in your ongoing relationships. You know what you want and you're going to get it. A Full Moon in your work and health zone on Tuesday may bring key issues into focus. Don't automatically think you have to fight to get your way. Try negotiation first of all. your sign on Saturday, making you a very attractive option. Mars and Venus in your social zone mean that you'll be far more in demand than usual. You may be busy organizing events or getting people together for meetings or fun and enjoyment. Meanwhile, a Full Moon in your home zone on Tuesday may bring issues to a head, creating a very emotional atmosphere. Try not to get involved, but instead stay detached and this will allow you to see the whole thing in perspective. Don't make any rash decisions that will impact your family negatively. Bide your time until you can discuss things more calmly. A powerful focus on your career zone means that you're determined to get ahead. This is the time to make those decisions that will help you achieve your goals in double-quick time. Those around you will be very surprised by the depth of your passion and determination. They always thought you were so cool. A Full Moon in your communications zone is going to bring issues to a head. Expect conversations on Tuesday to be quite emotional. If you're holding important meetings at this time, the outcome may not be quite as you expect. Mercury has been causing delays and frustrations with joint financial affairs. After it turns direct on Wednesday you'll find it easier to obtain credit, get a mortgage, or negotiate a loan. It's also a good time to talk your bank manager or financial advisor about your plans for the future. The presence of Venus and Mars in your travel zone means you're feeling more restless. If you get the urge to go away on vacation, this is a good time to go. You'll have a fantastic time with plenty of romantic action. Roland Emmerich brought his trademark academic rigor to the realm of climatology and the result proved to be so silly that NASA refused to help with the filming of the movie. 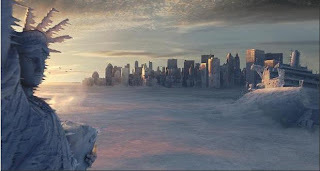 For one thing, it would require most of Antarctica to melt in order to submerge New York City to the level it is in the movie. If all the rays of the sun were directed at the South Pole, its ice would melt in about two and half years. This ridiculousness drove Duke University paleoclimatologist William Hyde to publicly state, "This movie is to climate science as Frankenstein is to heart transplant surgery." Happy Birthday for Michelle Trachtenberg. Today is her birthday. She was born 23 years ago on October 11. Michelle Christine Trachtenberg (born October 11, 1985) is an American television and film actress. She is perhaps best known for playing Dawn Summers in the television series Buffy the Vampire Slayer from seasons 5 through 7. She played Georgina Sparks during the first season of Gossip Girl. "Men don't eat the 16 ounces of protein they need every day, and this is a great substitute if they don't like cottage cheese," says Dr. Dansinger. 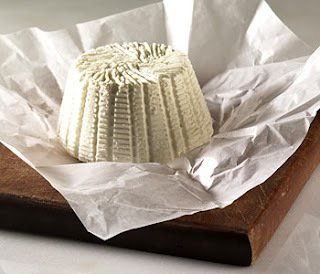 Made from whey, this soft cheese is rich in amino acids, which speed muscle recovery after a workout. Flavor it with jam and spread it on a cracker, or put half a cup in a blender with skim milk and fruit for a post-workout, cheesecake-flavored smoothie. It also tastes great on its own with olive oil and fleur de sel. Hi my-blogmedia rockers, here are the Top 25 Best Heavy Metal Bands according to yahoo music site recently. Here is number 5 position. Hendrix was far more than some heavy metal guitarist. Putting his music in any box is useless because it always sneaks out. 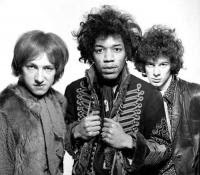 But from the opening notes of "Purple Haze," it's obvious that Jimi was interested in being louder than the other boys. While it's an obvious shame that he didn't live through the ensuing decades, it's a blessing that he came of age at a time when musicians relied on band chemistry and not Pro-Tools to make their magic. Because as good as Hendrix was, he also knew how to pick the right supporting cast. Hi women,how is your dating?.Here is the tip from expert for you regarding the dating. Remember it. Hope you always success on your date. Enjoy. Okay, let's get into the last one. 6. Pushing friends on him. Avoid pushing friends on us too soon. Example: A woman will hang out with a guy on the first or second date and say to him, "You have to meet my friends Jenna and Amy. You also have to meet my friends Phil and Anne; they're such a great couple, and you'll love them!" A man hears this and thinks, "I don't even know you yet. Can I get to know you for a month or two before I have to go meet all of your friends and be put on display as 'the boyfriend?'" We don't want to be "the boyfriend" right away. It's too much pressure. We want to get to know you slowly and learn what you're all about. Believe me, once we get to know you -- and like you -- we will be more willing to get to know all of your friends. Hi all, we meet again. Here are your weekly horoscope for this week. Enjoy. You're thrown for a loop this week, Aries, so remember that you were born knowing how to navigate difficult paths, thanks to your ruler, Mars. On Monday the Sun in your sector of rivals squares Jupiter and you deal with a person you don't trust. Think before you decide on the right tactic to take with this individual. On Wednesday the Moon squares Mars and your emotional reactions run away with you. You have challenging decisions to make, and no matter what solution you choose, it's not going to be a perfect fit. Compromise is the name of the game now. Taurus, this week you take steps to revitalize and refresh the dreams you hold for yourself. You're a very practical soul. Nevertheless, you also have a lovely lyrical side to your nature. On Thursday your ruler, Venus, in Scorpio trines farsighted Uranus in your sector of hopes and wishes, and you'll find that you can wish on a star again. On Sunday your plans for fun and amusements have to be canceled as the Moon in Pisces opposes stern Saturn in your sector of entertainment. You have chores and duties piled up and it's time to apply some elbow grease! This week you find it hard to get started on any project you have in front of you, Gemini, even one as simple as deciding when to get out of bed in the morning. Now that Mercury, your ruling planet, is retrograde in indecisive Libra, you're unable to make the simplest decision. It might be time to become more proactive and realistic. On Sunday you consider changing your residence due to issues with a roommate or neighbor as the Moon in Pisces opposes Saturn in your home, family, and property sector. You'll spend time checking out the classified ads. Your family means a lot to you, Cancer. No matter how difficult or challenging some of your family members are, you still do everything in your power to maintain a good relationship with each and every relative you have. On Monday you reflect on just how far you're willing to go in your support of a particular family member and when it's time to say enough is enough. Thursday promises to be a time of exciting fun. You'll temporarily forget your responsibilities and just enjoy yourself as Venus in your sector of amusements and entertainments trines adventurous Uranus. Leo, you can certainly be forgiven for wanting to crawl back into bed this week. But if you do, you'll miss some important life lessons. On Monday Mercury retrograde in your sector of communication squares Jupiter and you won't understand the people you interact with, no matter how hard you try. This isn't the best time to enter into important or serious discussions with anyone. On Thursday you discover that it's important to pick your battles, and that there's a time to stand up and fight for yourself and a time to let a matter go and just walk away. Just how important is a friendship to you, Virgo? This week you decide if you're willing to bend and compromise to the degree needed to maintain your association. On Monday the Sun conjuncts Mercury retrograde in your sector of values and you do some serious thinking regarding the way you manage your friendships. On Sunday a new opportunity comes your way. Your new prospect is different from anything you've tried before, and your first reaction may be to say no. Remind yourself that you need change in your life to maintain your zest for living, and reconsider your new chance. You're enjoying your life now, since the glittering and radiant Sun is in Libra in your sector of self. You want to spend your time, emotions, and thoughts on yourself. That's OK, since you're bubbling over with good ideas on ways you can propel your life back into active mode. But don't forget that your friends and family have needs, too. On Thursday keep a pencil and paper handy, or make sure you bring your laptop with you everywhere you go, since you'll be filled with inspiration. Capitalize on your brainpower as much as possible. Don't let your worst fears get the better of you, Scorpio. On Monday the Sun in your sector of hidden thoughts and feelings squares excessive Jupiter and you may start to imagine all sorts of difficulties regarding a certain scenario you face. Do your best to put your problem into proper perspective and you'll be able to manage your dilemma. On Wednesday you find it easy to state your opinions very boldly. Try not to overwhelm everyone with your personal beliefs. A special time lies ahead for you on Sunday, so make the most of the beneficial vibes surrounding you. Good news is on the way as the Sun conjuncts Mercury retrograde in Libra. You've waited for a long time to discover the outcome of a certain matter that has weighed you down. Once you get the good news you'll feel very relieved, and much more optimistic. Early this week it's easy for you to deal with people in positions of power. If you need a fishing permit, driver's license renewal, or tag for your dog, the people you have to deal with will be very friendly and on your side. You know what you like and you know why you like it, Capricorn, and there's nothing wrong with that attitude. On Monday the Sun and Mercury retrograde square Jupiter in earthy Capricorn and you deal with someone who feels you're too rigid or controlling. Don't pay any attention to what this person says or feels. You know the right way to run your own life and it's the way that works for you. On Sunday your imagination takes flight. You may get lost in a good book or movie or decide to write your own novel, short story, or screenplay. You're a rebel at heart, Aquarius. You love to make a splash in your environment and flaunt your individuality. Because of your tolerant and humanitarian nature, you don't enjoy interacting with people you consider stuffy or snobbish. On Wednesday the Moon in Aquarius squares Mars and you encounter someone you feel is arrogant, superficial, or unkind. Try to watch your words and be diplomatic where this person is concerned. On Sunday you operate at a fast pace. You may come up with an idea for a new invention that will make your life, and the lives of others, easier. Pisces, you're empathetic and believe in sticking up for someone if he or she needs help, but at times others can take advantage of your sympathetic nature. On Monday you're the recipient of a sob story from one of your associates. This person may be exaggerating the circumstances of his or her situation. Before you go to bat for your associate, be sure you know the real story. On Thursday you have an exciting time of unexpected surprises waiting for you as Venus trines unpredictable Uranus in Pisces. Get ready for anything to happen, since it probably will. Hi my-blogmedia readers. Are you ready to use Bat-Widget?. Several creative designers give you the Bat Gear or Bat Widget for you. What's That? 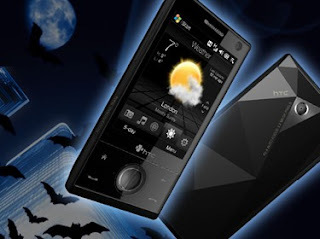 Watch out, may be someday you will use these the Dark Night hitech tools, haha.. There are 10 widgets for you. We will post it one by one. Here is number 3. Could Batman use a touch-screen phone with his Batgloves? That has yet to be determined, but in terms of its sheer looks (and flashy ad campaign), the HTC Touch Diamond looks to be a perfect fit for Bruce Wayne's alter ego. It'll take a trans-Pacific journey via Batmobile and Batboat to pick one up -- they're available only in Taiwan -- but this sleek 3G Windows Mobile phone has an amazing screen to accompany its 3.2-megapixel autofocus camera, plus Internet Explorer and Opera for browsing the Web (what, no Fireflyingfox?) and a music player that Gotham's finest can use to play Prince's "Batdance" on repeat. It's thinner than the iPhone 3G, and it packs in GPS, a video camera and a YouTube-friendly upload feature. As many multisport athletes can tell you, dealing with the studs on cleats is a real pain in the neck. You can use the same pair of shoes for soccer, golf and baseball, but you'll still need to swap out the studs — and each type of stud requires a specific wrench. With all the studs and wrenches, an athlete's equipment bag can start to feel more like a plumber's toolbox. Matt Dean, a junior at Purdue University, has the solution. Inspired by the hassles he experienced as a competitive high-school player, Dean created Torque, a universal wrench for removing, storing and reinserting the studs on cleats. 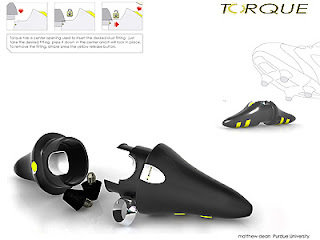 Torque fits the stud styles for all three sports, and with storage right inside the compact wrench, Torque also solves the problem of misplacing the small studs. 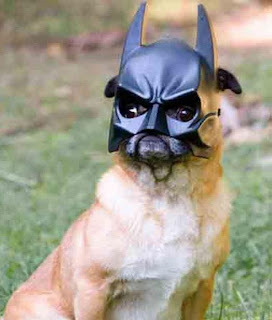 From now on, Gotham city will be saver than before after we have a BatDog, hehehe. Enjoy. Hi all. 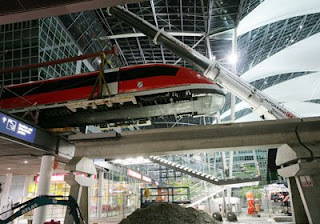 Here is the Top 10 Best Airport In The World for 2008. Continuing the previous post, here is number 5. Have you ever visit one of the places?. Enjoy.